The Security siren alarm allows you to be alerted by a sound signal up to 110 db in case of intrusion in your home or any other place to secure (residence, second home, business office, garage ...). It communicates with the wireless 2G / 3G / Wifi HD GSM monitoring camera and triggers a loud sound and light alert (red leds) if an intrusion is detected by the camera or any other detector paired with your monitoring system. The alarm siren sound volume is adjustable on 7 levels. You can also use the Security siren alarm directly from the remote control supplied with the monitoring camera by pressing the "Alert" button particularly useful in dangerous situations or aggressions: simply press this button "Alert" to activate the siren. Easy to install, the alarm siren plugs directly into power socket. You can place a 9V battery into the siren in case of power failure. It is possible to associate several alarm sirens with the same monitoring system. 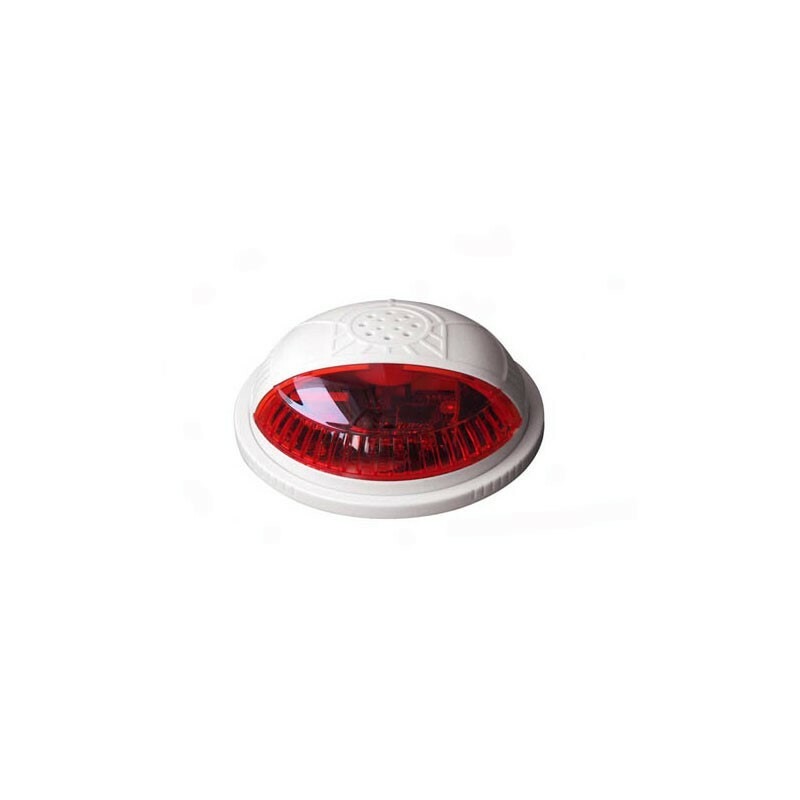 Loud sound alarm siren and LED flash indicator. "Alert" button for optimal security.